There’s an easy way and a hard way to dashboard Google Analytics. This is the easy way. Most of the people at your company who need Business Intelligence (BI) answers are not going to be data analysts. Typically, they’re executives or line-of-business managers and staff who need to make decisions in a timely fashion. For example, take your marketing or sales person who is responsible for lead generation and online sales. They need to figure out what works – and then what works best – on your website or in your online advertising, in real-time, in order to keep the flow of prospects or orders high. Often, they don’t have the luxury of waiting a couple of days for a report. While they know how to optimize websites and keyword ads, they often do not know how to write queries, and most will probably never log into Google Analytics. 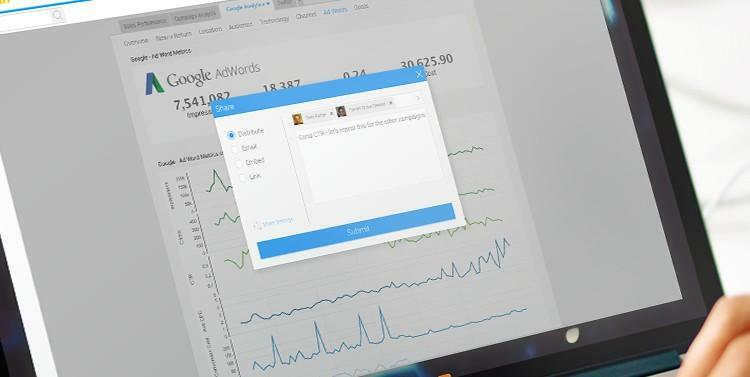 That’s why we created a Yellowfin Connector to give people a plug-and-play way to add Google Analytics to their BI platform. Using our Yellowfin Connector, line-of-business teams can instantly add and use Google Analytics thanks to our pre-built dashboards and reports. Best of all, they can do this all by themselves – no help needed from IT, data analysts, or the BI team. Our pre-built Google Analytics dashboard includes tabs on: Acquisition Overview; New versus Return; Location; Audience; Technology; Channel; and Goals. For marketers running AdWords campaigns, you can get full visibility into your spend, click-through rates, conversions and cost per conversion. Plus, you get the ability to compare results against your most successful campaigns. Teams also have the ability to share data with their colleagues and collaborate where all their data lives. We also make a range of other Google Analytics fields available, so you can create custom reports and personalize your Google Analytics dashboard. Line-of-business managers can combine Google Analytics content into their own reports and dashboards, blending it with other pertinent corporate data from different sources, such as Salesforce, MailChimp, and other business databases. Enjoy the ability to access all the relevant data you need in one place – without having to log in to specific applications. 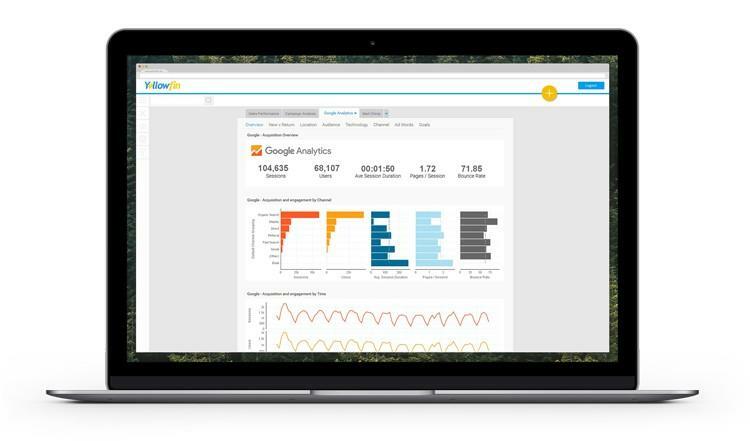 Google Analytics is just one of Yellowfin’s many API connectors for third-party web apps. Others include Salesforce, MailChimp and Zendesk, as well as connectors for several social media platforms, such as Twitter, LinkedIn and Facebook. Try it for yourself for free today!